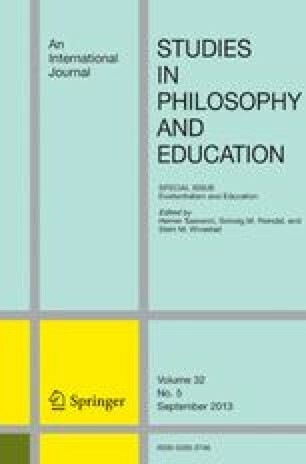 In light of the complex notions ofidentity, this paper attempts to consider howto perceive the notion of world citizenship.The paper looks to discussions on the self andidentity; focusing on the writing of CharlesTaylor and Alasdair MacIntyre, with particularattention given to the notion of an integratedself. While philosophers, sociologists andeducationalist discuss particular and universalaspects to the self, Danesh in his book`Psychology of Spirituality,' presents a modelfor the integrated self that seems to allow fora systematic process of development to helprealise a unity of character of individualidentity with an extended community. What issuggested in this paper is to consider thepossibility of an education for worldcitizenship where one can have a notion of anintegrated self and be a citizen engaged atmany levels, from local to national andinternational.